1. Players positioned as per diagram. 2. 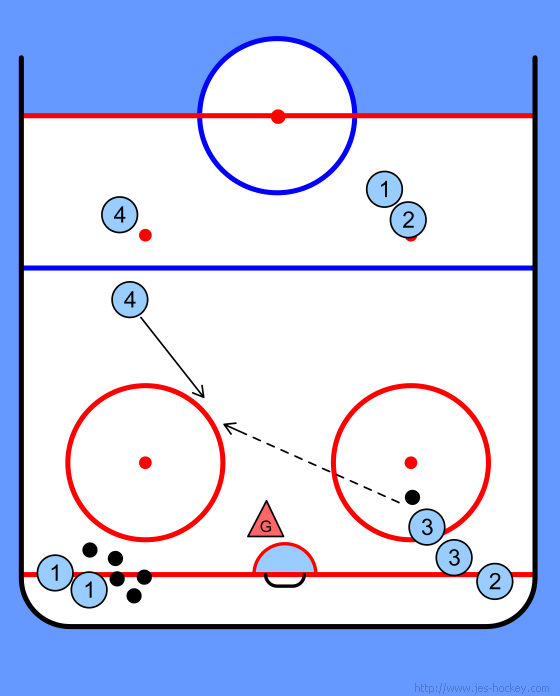 Player 1's in corner with pucks. 3. 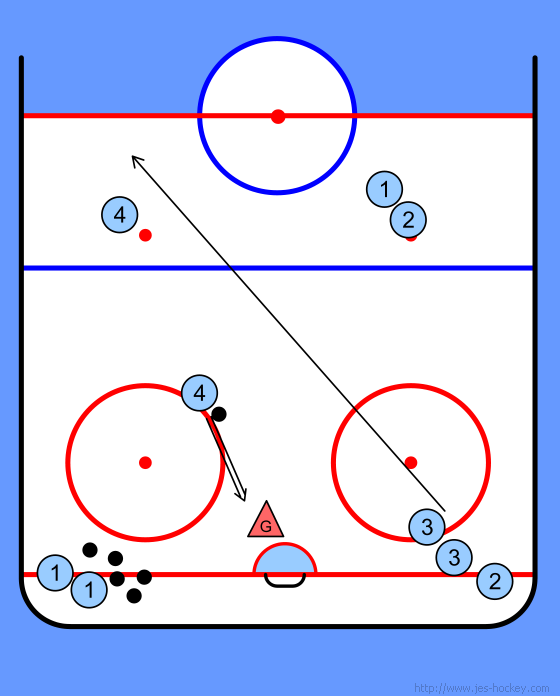 Player 1 passes cross ice to player 2 and skates to back of line 2. 5. Player 4 times his/her skating to receive a pass from player 3 and shoots at net trying to score. 6. 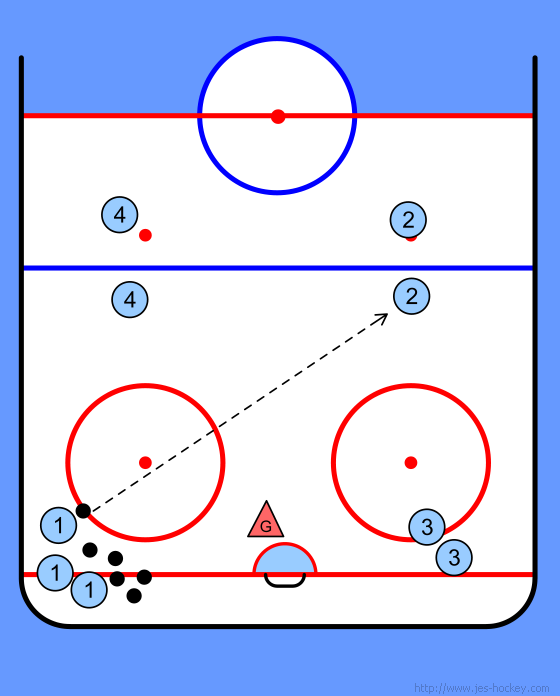 Player 3 goes to line 4 and player 4 after shooting goes to back of line 1.